Lessonly is the powerfully simple, trackable training software teams use to learn and practice like never before. 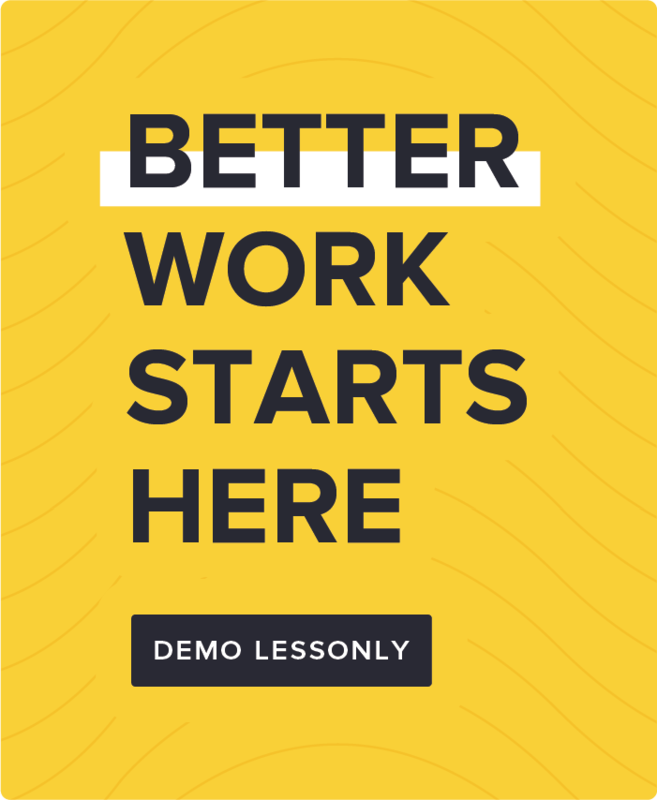 With Lessonly, companies and managers quickly transform knowledge into shareable lessons and resources, engage employees through interactive feedback loops, accelerate rep and team performance, and measure the impact of better learning across their organizations. 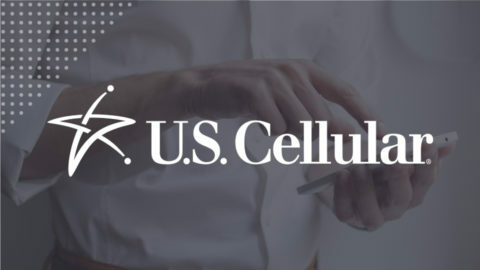 US Cellular drives efficiency at scale for over 6000 agents with intuitive training through Lessonly. 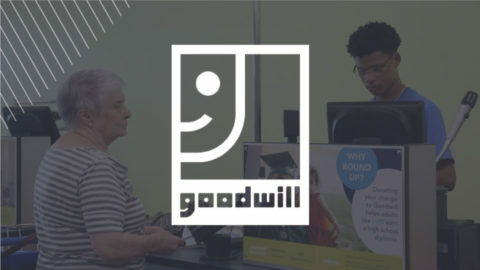 Goodwill increases employee performance and engagement for 4000+ associates with online training. 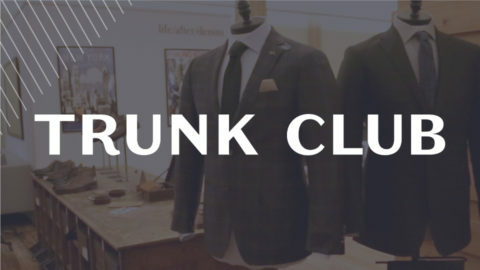 Trunk Club uses Lessonly to train more than 750 reps & stylists on 20+ new initiatives per month. Learning management systems have been around since the 90s. Even before then, organized learning was handled by machines that don’t even make efficiency sense to us anymore. We’ll delve into that a bit later, though. The LMS system is designed to help companies organize and deliver material in an efficient way for employee training. The LMS has gone through innovation after innovation, making learning better and faster than ever before. Even today, the LMS platform isn’t used in many companies. Their interpretation of what a learning management system is is a collection of folders on GoogleDocs. This seemingly works, so why use a learning management system? A great example of LMS is a software like Lessonly. Lessonly is a software that surpasses traditional learning management systems. LMS features and functions, along with a platform, are combined within this software to assist in the creation, organization, and delivery of learning content. LMS applications are still varying; some are complex in an effort to offer all available capabilities, and others are more simplified as to make processes more efficient. LMS applications are commonly used in education systems and in the corporate world. These are the markets that generally revolve around a learning management system, but both are commonly used as distance learning platforms. With that said, the definition of learning management system is becoming more and more revolved around the learner’s experience. Lessonly does this by simplifying the administrative end and creating ease of access and usability on the learner’s end. When learning management systems were invented, content had to be created outside of the system, then incorporated into the system. Developments in web-tech soon allowed for content on the LMS without having to create it outside of the LMS. A learning course management system was not restricted to programmers and developers, but allowed for authors and instructional designers to have roles within the software. If you noticed, we sometimes interchange “content” and “course” within LCMS. However you prefer the acronym is fine, but know that the latter could not be without the former. The LMS vs CMS comparison broadens the definition of both. This makes the course management system definition self-explanatory, but the content management definition a bit vague. A content management system is a system that helps organize content, but can be as simple as a platform for hosting and minimal tools or as complex as an open source system requiring development and software learning. Course management system examples would be something like Lessonly or Blackboard, but a content management system examples are WordPress and Drupal. Regardless, because there have been so many accumulated advances to the LMS, CMS has become implied, i.e., it no longer stands to compare LMS vs LCMS because the content part is no longer a differentiator. Modern LMSs now have content creation capabilities. It’s alliterative, so you know it’s real. LMS providers are aplenty, but it’s important to recognize the kind of service you want from your LMS. If you prefer open source learning management platforms, then you also must prefer developing the LMS as you go. If you want your provider to handle the development part for you, then you would more than likely go with a software-as-a-service (SaaS), like Lessonly. Even further, some LMS platforms, whether or not they’re open source or SaaS, may offer SCORM. Sharable Content Object Reference Model, or SCORM was a standard established in 2004 so content could communicate with an LMS, and so that LMSs could communicate with other LMSs. With all the advances to learning management system software, SCORM has become a bit outdated, but some companies still use it because their LMSs were built with it. Now, SCORM is no longer a standard, but more of a feature or add-on. As new businesses implement learning management systems, SCORM will become obsolete. There are pros and cons to an open source course management system. The biggest pitfall to an open source LMS platform is the development. If the list above were extended, you’d notice a pattern — open source platforms are not targeting businesses. That’s because businesses don’t want to have to develop the product, they need something functional and stable for immediate training purposes. Open source software requires server space and a team to implement, develop, and maintain; businesses that require frequent training save on resources (time, money, supplies) by going with a SaaS. Those in need of training don’t foresee the time and resources it takes to implement and manage an open source LMS. Even with all the resources readily available, it’s less costly to buy into a SaaS contract than to pay a team for the shaping and maintenance of an open source LMS. Even though the first LMS as we know it didn’t come around until the 90s, the history of learning management systems dates back to the 60s. The progress made for learning management was very niche — creating devices for typewriting lessons or developing systems for acute communication. These things weren’t necessarily progressing the industry, but rather just making it different. The LMS picked up quick with innovations right before the turn of the century. Innovations to elearning happened month over months, and year over year by taking advantage of web technology. Examples of virtual learning environments were redefined by the Internet. Thanks, Internet. The history of virtual learning environments in the 1990s is nothing close to what it is today, but it served as a catalyst for the beginning of online education. Here’s a brief timeline of some of the events that occurred in the development of the LMS platforms we use today. 2012 – Lessonly is launched as a learning software-as-a-service for business. Lessonly incorporates creation, delivery, and tracking to streamline the learning process. As the LMS progressed it opened up opportunity for the corporate learning environment. Learning management system software wasn’t just for the education industry anymore, but became honed for fast, corporate training. 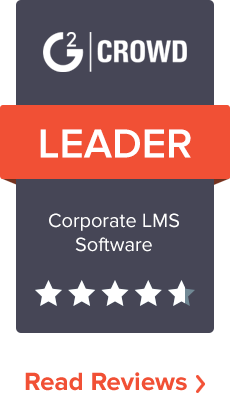 In a course management system comparison or a LMS platform comparison, Lessonly is a top choice amongst companies. We make it our mission to be learner-focused, and do develop the best learning automation software. Our elearning software platform designed to streamline the process of learning within businesses. As a SaaS, Lessonly is not an open source software. We provide our clients the development and maintenance of our software so that clients can focus on the creation and delivery of great learning content to learners. Simply put, when something goes wrong, we fix it. When the client suggests a change or improvement to the software, we consider it. From both of these things, we continue to develop a product our clients embrace. We have a client experience team to help new clients implement the software as well as answer any questions they have along the way. Lessonly’s interface is intuitive, leading administrators through easy organizational and creative processes. 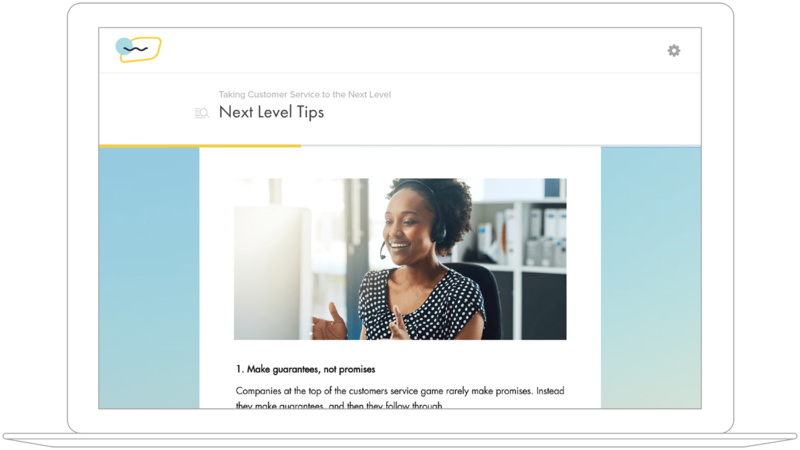 We’ve taken the complexity of a traditional LMS (SCORM-compliant, open source, tools aplenty) and have simplified it so that anyone — no instructional design degree required — can create valuable learning content within a business. The administrator role in Lessonly is the head role. Administrators have all access to content and data. Administrators can create lessons, distribute learning by assigning, and track learning all within the same interface. Lessons are created in Lessonly simply by uploading content. Traditional LMSs did not have built-in authoring tools. Users would use programs like Adobe Captivate to build content in SCORM to pass into an LMS. In Lessonly, You can type and format text into a frame, upload rich media from many platforms including Giphy, YouTube, and SoundCloud, and even incorporate quiz and free-response questions to understand progress and elicit feedback. Beyond Lessonly’s basic package, administrators can assign two more roles: manager and creator. Managers can be assigned a group of learners to manage and monitor in Lessonly. Managers have the ability to create, deliver, and track learning content for their specified group. Creators, on the other hand, are limited to creating only. This user role is designated to people who are practiced in creating content that is both informative and entertaining. 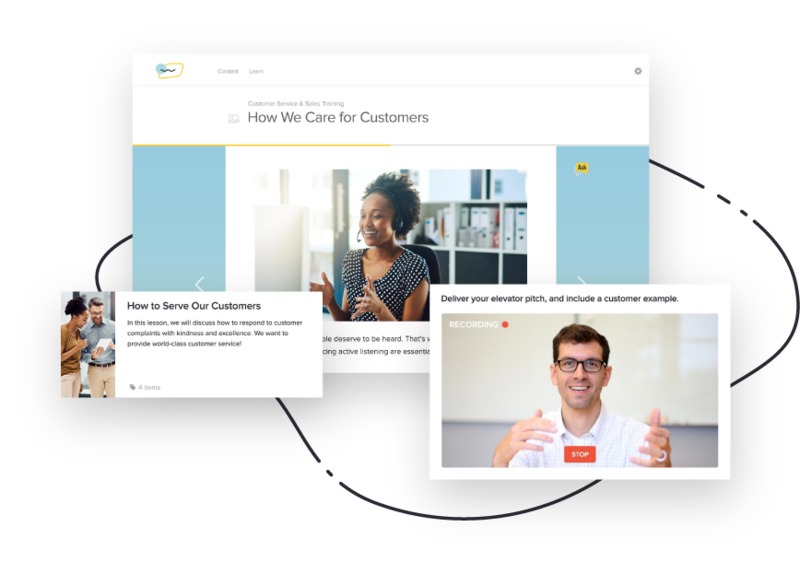 We believe great employee learning retention comes from well-formatted content. Those in charge of delivering learning in Lessonly can do so right on the interface. Once user emails are uploaded upon implementation, it’s as simple as typing their name into the assign search box. If a group of learners has been created, one click assigns a course or lesson to all users in that group. Once a lesson is completed, triggers can be established to immediately assign a learner the next lesson. Gone are the days of attaching bulky PDFs on an email without reply. Lessons can also be delivered by copy/pasting the link provided on the interface. However you prefer to deliver, each lesson is tracked. With tracking in Lessonly, courses and lessons are measured. Once a lesson is assigned, admins receive updates on who opened the lesson, when they opened the lesson, and how much of the lesson has been completed. If questions were incorporated into a lesson, the results are also reported. Quizzing and free-response questions help admins determine where the company-wide knowledge stands. If a single individual is struggling with a subject, that individual can receive attention to catch up. A certain score can be set as passing in order to ensure proper retention. Patterns in question responses show admins what subject matter needs more attention and what subject matter learners are excelling with. Additionally, by using Lessonly’s API, admins can track results into other software systems like Salesforce or Zendesk. By doing so, ROI information stays in the same place. On the learner side of things, once a lesson is assigned, the learner receives an email. A day before the lesson is due, the learner is notified. The day after a lesson is overdue, the learner is notified. These lessons are accessible from PCs as well as mobile devices like smartphones and tablets. This allows learners to learn in their best environment. Having a strong software at the core of your company learning along with a team to embrace learning can expedite innovation within a company. Company knowledge becomes widespread and common ground is established. No longer do employees have to struggle to get on the same page as everyone else. Instead, Lessonly enables learning to be distributed throughout a company. For example, even with an HR department in charge as administrators, learning can be created and managed by someone in each department. This enables concise content to be created. A sales director can create content so insightful to sales reps that an HR director may not think to include. Even further, the sales director could use the lesson as a resource for anyone to view, or request an admin to assign as an update to the company. That’s just one scenario. Lessonly helps companies with onboarding training and ongoing training. By using a software that streamlines these processes, training time is cut down significantly (in half from a few of our client testimonies), making time for faster, more efficient growth for the business. Interested in trying Lessonly? Check out our review on G2Crowd, or try it out for yourself with our free tour.